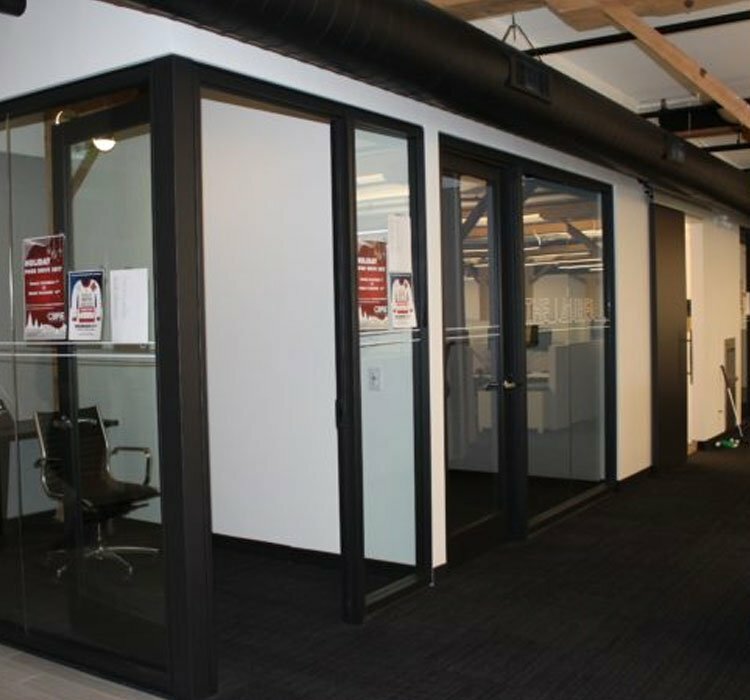 Los Angeles-headquartered CBRE embraced DIRTT for their new KW office space with the “Evil Twin” Double Glass Front Wall solution. 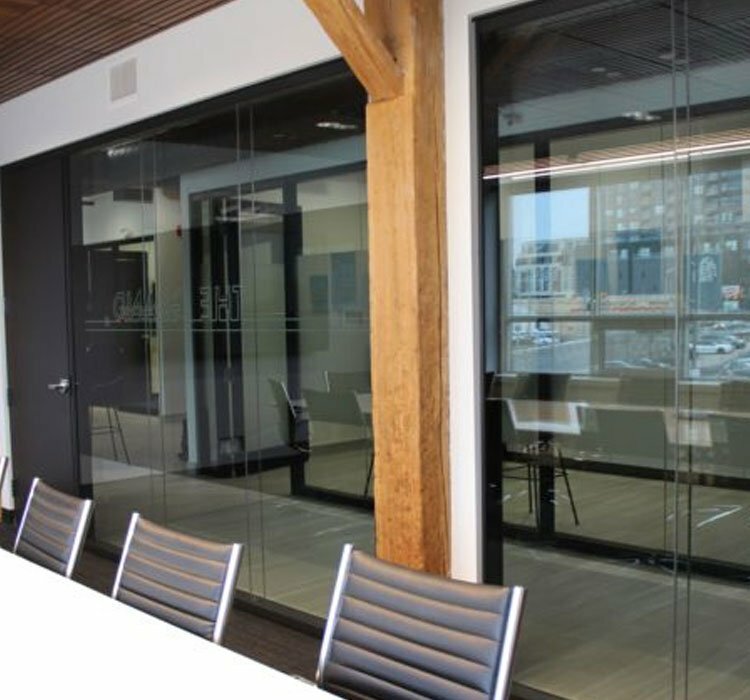 Unlike the traditional glass front wall solution, “evil twin” offers an air cushion between the walls, which allows for greater sound absorption and earns it’s name by the complexity involved in the installation process. The double glass front also allows for a maximum amount of light to enter the office spaces, a key concept in CBRE’s commitment to employee wellness. 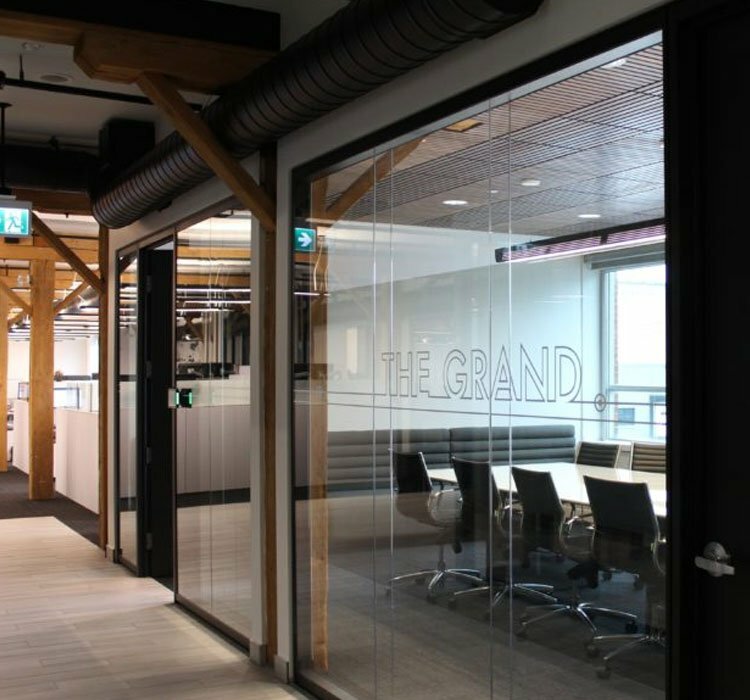 The Kitchener office is part of CBRE’s national program to reimagine its workplaces across Canada and it represents the ninth office to be transformed in the last two years. 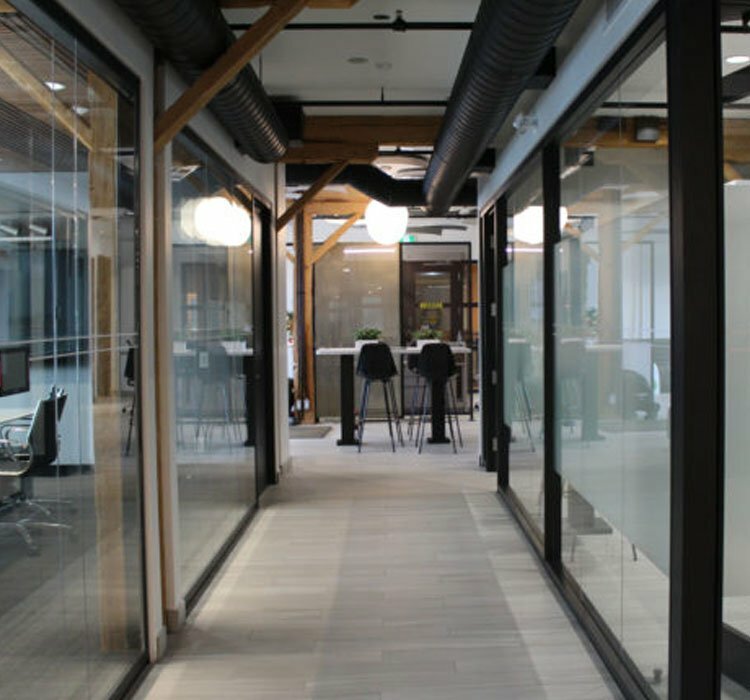 CBRE has emerged as a pioneer of workplace wellness in Canada by adopting a human-centric approach to office design. 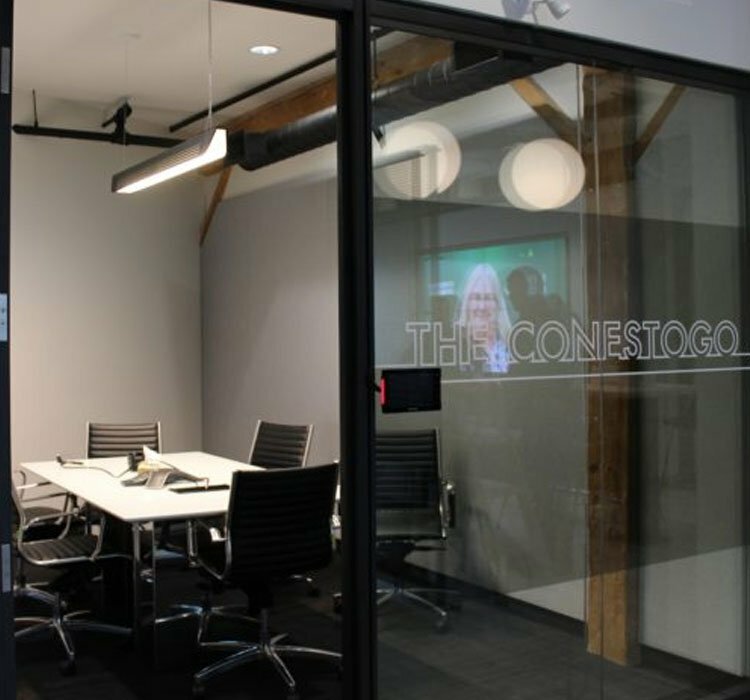 CBRE has untaken a goal of reimagining its workplaces across Canada by creating the workplaces of the future and having the healthiest office environments in the country. 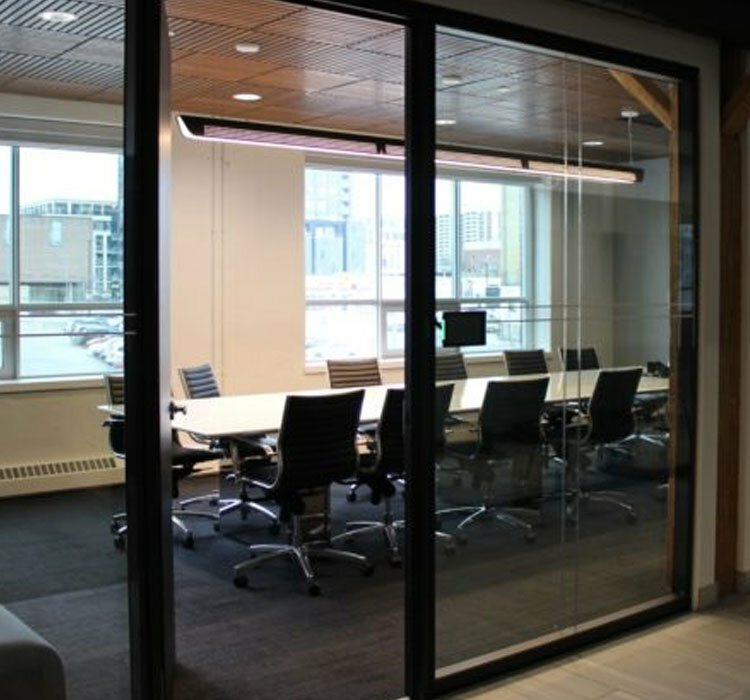 Since 2015 they have renovated 9 offices, totalling 130, 000 square feet, and DIRTT has been there since the beginning. The commitment to employee wellness includes Universal access to natural light, ergonomic Sit-Stand desks that reduce sedentary behaviour and noise-attenuating technology to reduce background noise.